If you are a married couple and considering filing Chapter 7 Bankruptcy there questions that may arise such as: determining whether to file jointly or individually. This determination is very critical to the outcome of your filing and you should address this with a Bankruptcy attorney before proceeding. In some cases, one spouse may have the majority of debts or all debts and deem it necessary to file a bankruptcy separate from the other spouse. However, in cases where both spouses are facing financial hardship in meeting the payments on their debt it may be advantageous to file Bankruptcy jointly. Joint filing, however, may have disadvantages as well especially when there is a large disparity in the debts and assets between the spouses. 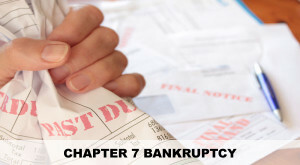 Call your bankruptcy attorney to determine what is most effective and beneficial filing for you and your loved one. If you do not have an attorney and have concerns about your Bankruptcy or are considering filing Bankruptcy jointly, call Blick Law Firm today and schedule a free 15-minute consultation with attorney Michael Blickensderfer. Think quick, call Blick! This entry was posted in Bankruptcy, Blog. Bookmark the permalink.